Playing an instrument is very rewarding for both the child and the parent. 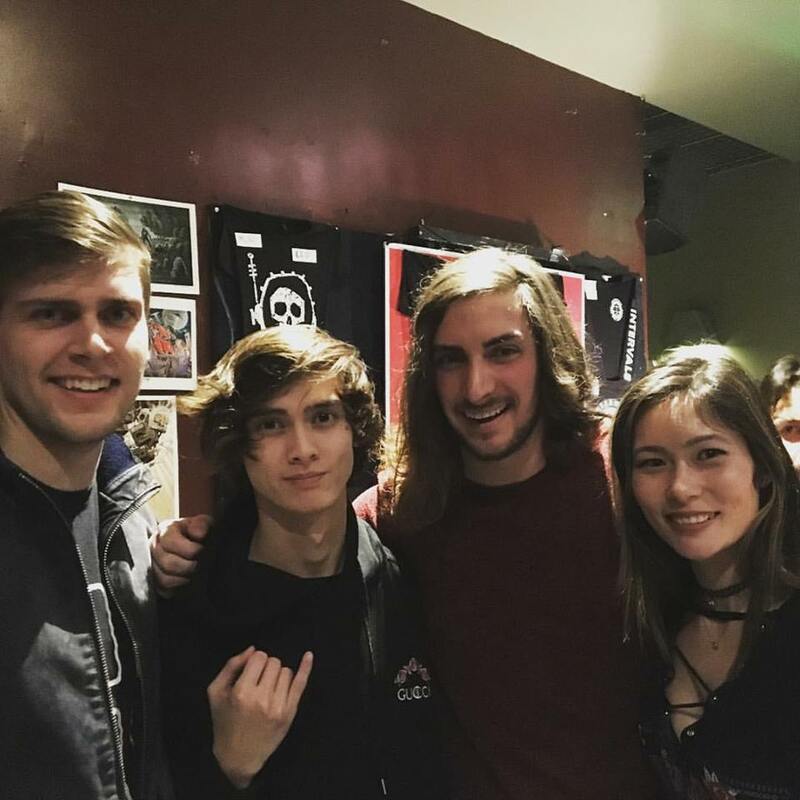 To see the progress that they make over their guitar play journey and over a lifetime. One of the essential elements to make them improve their guitar playing is practicing at home. For children, it is not normal for them to want to practise. And for the ones that do, they will be more motivated at certain times compared to others when it comes to practicing the guitar. There will always be challenges and difficulties when learning new things on any instrument. How to overcome these challenges with your child when it comes to learning guitar? The key is overcoming those challenges with learning the guitar for a child is through determination and practice. This really helps the child build confidence. Tragically, some parents threaten their children that they will cancel their child’s guitar lessons if the student does not practice. 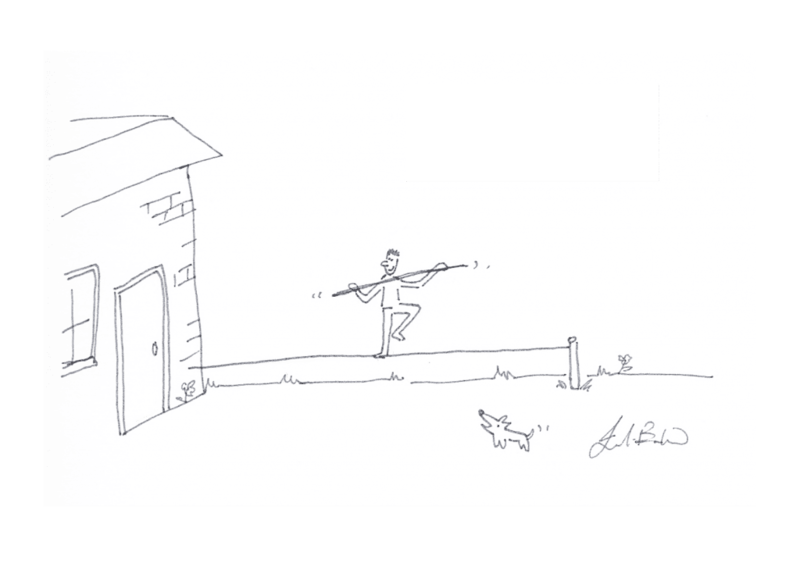 While striking fear to the hearts of a child might get them to act, it is not the healthiest way to promote a new habit like consistent focused improvement on an instrument. It is also difficult to explain to a child all of the benefits they will receive from regular practice. When they work hard, they can get a result from it. Playing the guitar gives them a very clear example to reference from when it comes to using this mindset in any aspect of life. All of these benefits have been studied and verified time and time again by modern science, but how to explain that to your 9 year old? Here’s the thing, a child who signs up for guitar lessons can not possibly improve by sitting with a guitar teacher for a half hour a week alone. It takes a team effort on the part of the teacher, the student, and the parents, in order to set the student up for success. The child and parent can not go into guitar lessons with the attitude of “trying it out” because learning a musical instrument takes dedication over a consistent length of time. Does that mean 12 years? No of course not, but it does mean more then 12 days or even 12 weeks or 12 months. During those more difficult times when it comes to practising guitar. Let’s see what we can do to help motivate your child to practice the guitar. Do they love their guitar lessons with their teacher? It really helps when your child enjoys their guitar lessons with their guitar teacher. They should be in a relaxing and fun, enjoyable atmosphere. There may be times when they get disheartened if they are finding something difficult. But the teacher should be able to help encourage them and motivate them to help them overcome these challenges. Your teachers’ role is to ensure they do this by providing the right materials for them to use in the lesson and also to practice with at home. Here are some steps that the guitar teacher can make to ensure healthy practice habits for the student. Have the student practice in front of the teacher. Yes, that’s right. It is for the benefit of the student that they not always receive new content but they actually learn HOW to practice. If a child does not know how to learn, and retain information, it makes no different what they learn. Create practice schedules for the student to follow and explain to both the student AND the parent. The parents must know what they child should be working on and for how long. For children 13 and under, 15 minutes a day, 5-6 times a week will suffice. The guitar teacher should spend some time each lesson breaking down WHAT to practice. Constant communication with the parents to see if the student has been in fact practicing at home and if the parents have been helping the student practice. Having practicing guitar as a competition can help motivate your child to get over the hurdle of practising if they are having a lack of enthusiasm for practising. 30 days is a good timeline to get a routine. And they should practise for a certain amount of time per day depend on what their teacher has recommended. Set the reward as something that the child wants and will look forward to. We suggest having a family activity. Or something small like chocolates to motivate them. Ensure they are praised for the extra effort and hard work they have put into practice. 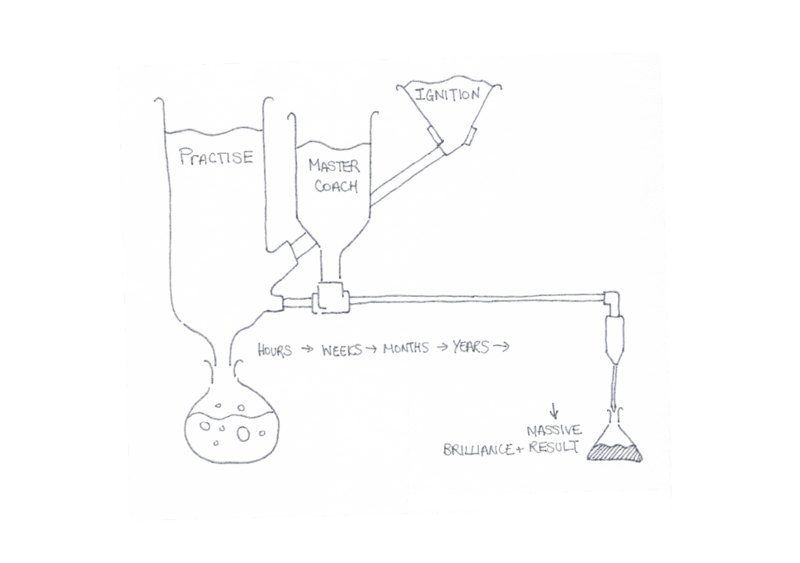 Get your child into the mindset that practising isn’t optional. And that it is something they must do to do well and get praise for how well they are doing on the guitar. It is always much better to practise a little every day than for a long period of time at the end of the day just before their guitar lesson. Doing daily guitarpractice really helps the information to set in and for them to progress the fastest way. And by doing it daily, it means they can see that progress quickly. Try to make it as normal as brushing their teeth. So they expect to do it rather than thinking of it as an extra thing they have to do. Use your phone or tablet or anything else to video the practice that your child is doing once a month. This way you keep a record of the progress and improvement they have made over time. As we mentioned before. Playing the guitar, there will always be new challenges, which is great because it’s a sign that they are learning new things and progressing. So having a record of how they have overcome previous challenges. And how much improvement they have made will help them remember how important practice is and how much the effort they have put in is worthwhile. 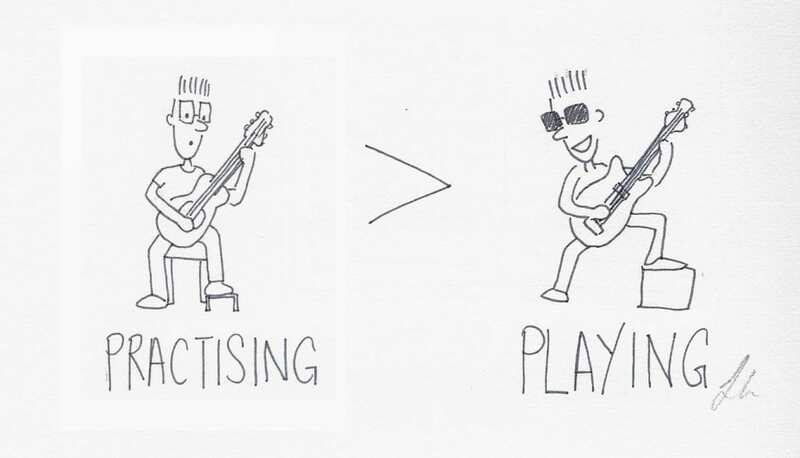 There is a difference between practising and playing the guitar. For young children, it’s important for the parent to know the difference and know roughly what they should be working on at home. Otherwise, it is easy for the child to play a little while and say that they’ve done their practice when actually what they have done is not what the teacher has asked and so it will not help them improve as much as proper practice will help them. Having great communication between yourself and the teacher will ensure that you have an understanding of practise means, and so it gets you involved in the progress, the child knows that you have a level of expectation. This encourages them to practise the right things, which in turn improves their playing! It’s a cycle that helps to motivate them long term to play and practise. Whenever there are friends and families visiting, coming round for a cup of tea or anything else. Get your child to do a mini performance for them. Don’t put too much pressure on them, just say something encouraging like “Your aunt/uncle would love to see what you have been practising.”. They can just do some practise exercises, or play a piece. The aim is to get them comfortable with playing in front of others. And if you give them a few days notice, they may be encouraged to do extra practice beforehand as well. 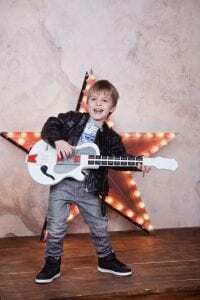 Hopefully, some of these tips will help you encourage your child to do more guitar practice to help them progress and improve their guitar playing. If you are a parent interested in finding a guitar teacher or a new guitar teacher for your child and based in East London. You should also help your child by remembering that Music lessons are LIFE lessons. They require dedication and consistent progress. The parent should sit down with their child and monitor their practicing. Help them through their frustration by explaining how this is going to make their lives better because it will. Music should come much higher on the priorities list in the eyes of the parent. Many children today are busier than their parents and parents feel bad if their child is not involved in EVERYTHING. This makes finding time for consistent guitar practice very difficult. Imagine you are a child, you get up very early, go to school and sit in a desk for 6-7 hours. You come home, do your homework, then you go to your brother’s karate because you can’t be left home alone, then there’s 90 minutes hours of soccer, then rush home, eat dinner and get ready for bed. After all of that running around, would you have the energy to sit and concentrate on a musical instrument? Try not to pile on too much on your child in the effort to give them every opportunity. Instead, concentrate on things your child enjoys. Music should be right behind homework on the priorities list and schedule if possible. Another remedy is to have your child go to bed earlier and practice when they wake up before school. Consistent focus for short periods of time regularly will greatly improve the students’ confidence and experience. The last tactic that can be effective but is not ideal is bribery. Tell them, if you practice for 4 days in a row, you will get a star each day. If you get 4 stars by the end of the week, you will get ice cream or candy, or whatever might motivate the student. Hope these few tips help your child with their guitar practise. And even if it doesn’t, as long as they are enjoying the lessons and the teachers are being proactive with their learning in the sessions, they will still be getting a lot out of it. Want to find out how we can help your child with their guitar playing? Contact us to find out how we can help you. Use the link below to get a free introductory guitar lesson for your child, and find out how we can help your child have a load of fun playing guitar and progress fast and easily. Click on the button below to go through to our form to get started with lessons for your child. Do you want to make your strumming sound better and more interesting on the guitar? Do all your songs sound the same, or do you struggle to get your strumming to sound like the song at all? This problem that you are having is very common and one I often get asked by students. They say to me “How can I get better at strumming patterns?” or “Can you teach me more strumming patterns” on the guitar. Most of the students who are struggling with this problem want the songs they play to sound better. And are sick of playing one chord at a time. Or they have one or two strumming pattern which they use for every song, so everything sounds the same. They then diagnose the problem as not knowing enough strumming patterns. If this sounds like you – I can help you. The first step is to acknowledge what your real goal is here. Do you want to collect more strumming patterns? Or do you want to make your rhythm guitar playing sound better? If you want to go and collect strumming patterns, in that case, learning strumming patterns is the way to go. But that path will likely lead to you having to go and learn a new strumming pattern for every song that you go and learn. This requires a lot of effort to play each individual different strumming patterns. Because you’ll be only looking at the rhythm for each individual song you work on. A better way to solve that problem would be training on your own ability to master rhythm playing on the guitar. Then you can pick up any strumming patterns based on what you want to play at any given time. Try this simple exercise below. Begin by muting your guitar strings with your fretting hand (so that we don’t get lots of extra noise. Strum down and up with your right hand while also SAYING out loud the beat numbers at the same time. All the beats should be evenly spaced in time. No gaps should be longer than another. When you are on the “Ands’ or the ‘+’ you are always playing an up strum. To create a new strumming pattern, all I need to do is remove downs or ups from the strumming key line. I have put two examples here labelled pattern 1 and 2. 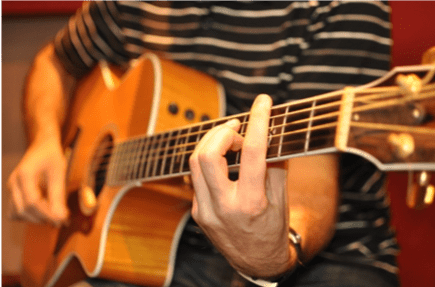 Make sure when you make up your own strumming patterns using the method above that you make sure that the Downs and Ups are in the right place. When you practice it, you need to always be moving your hand as if it was playing down and up all the time. Can you see how on patterns 1 AND 2 there is nothing on the AND (+) after the 1. Even though you don’t strum through the strings here, your hand is still going to move upwards – but it will do so without hitting the strings. 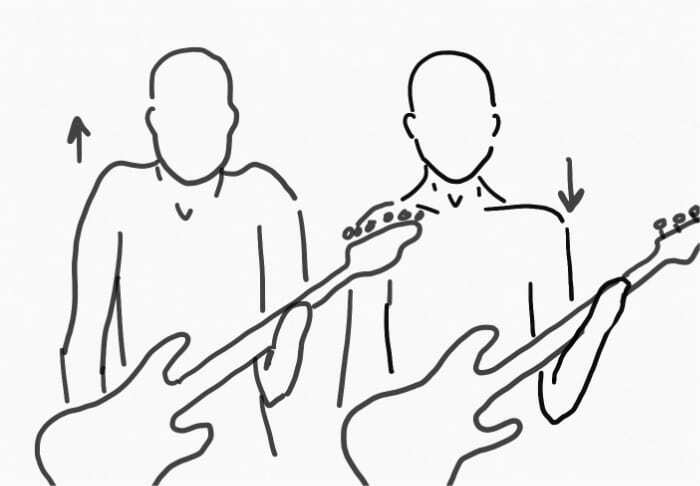 Practise doing this with new strumming patterns that you create for yourself, so your arm is used to moving in this motion, then it will become easier for you to learn any new strumming patterns that come across your way! 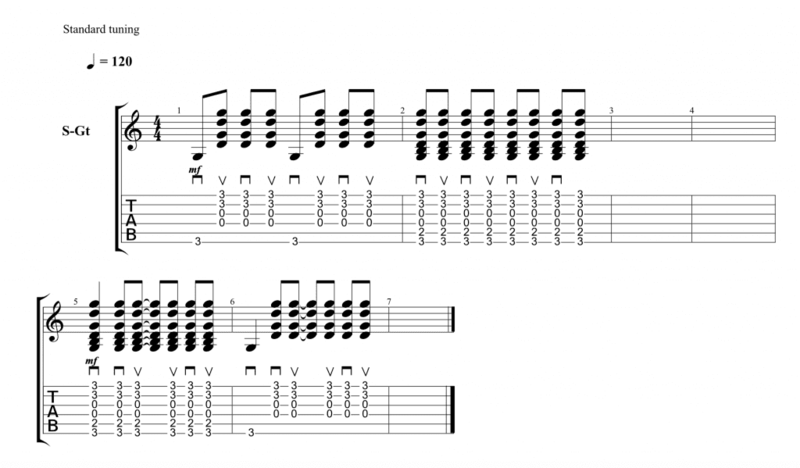 This is a great simple exercise to get you started working on your rhythm work, which will make a huge difference to your guitar playing. If you are based in London and would like some more guidance and direction on how to improve your guitar playing. Contact us via the link below to find out how we can help you with your guitar playing so that you can master rhythm guitar playing and anything else you are after much quicker and easier. 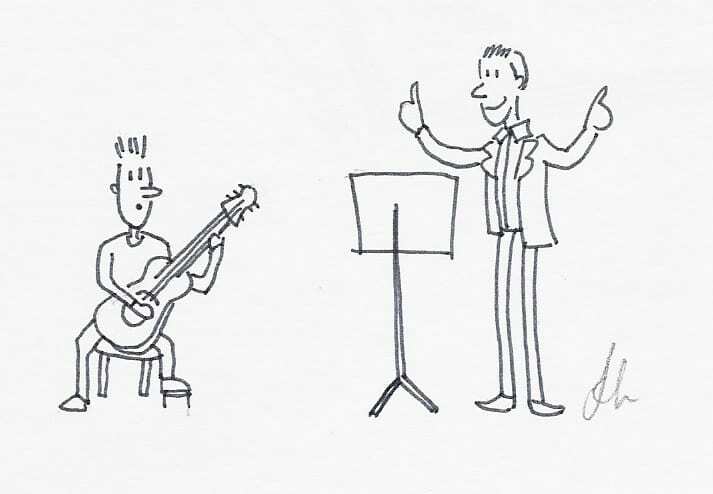 It’s a mistake to assume that every guitar teacher offers the same value of lessons just because they teach the same subject. Choosing guitar lessons is not the same as choosing which carton of milk to buy from the grocery store. All guitar lessons are not created equal and come in varying qualities. There are good guitar teachers, excellent guitar teachers, poor guitar teachers and everywhere in between. 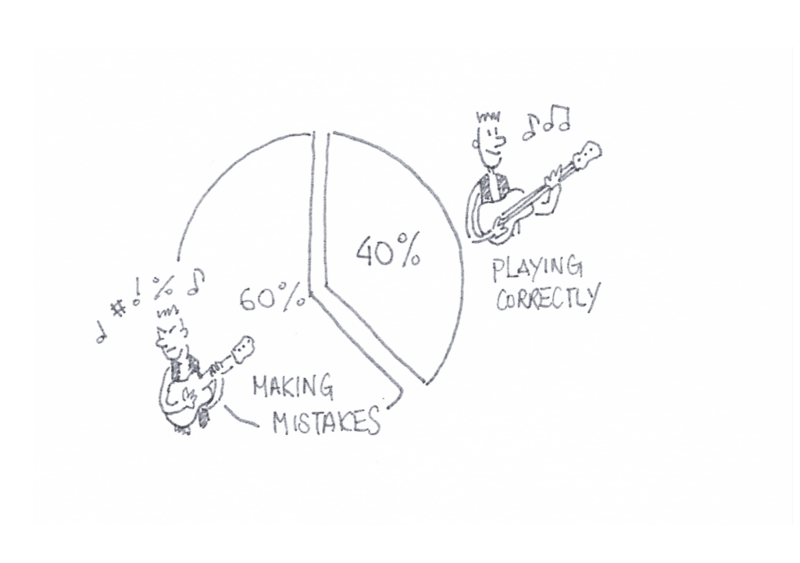 Learning guitar with an excellent teacher vs. a poor teacher can make a difference of years when it comes to achieving big things in your guitar playing. It is very important to choose your guitar teacher wisely and take the highest quality lessons so you can advance in your playing faster. Reality is, there are many guitar teachers who have general music degrees, but this means NOTHING when it comes to guitar teaching! Why? Learning music at university has nothing to do with learning how to teach music. Learning how to teach requires a whole new skill set compared to simply understanding the underlying concepts of how music works. The best guitar teachers train hard to get certified for these skills, mediocre teachers improve their teaching through trial-and-error… essentially turning their students into guinea pigs. Don’t settle for this. Do your research to make sure your guitar teacher is certified to teach. In addition to seeing that your guitar teacher is certified specifically to teach guitar (i.e. 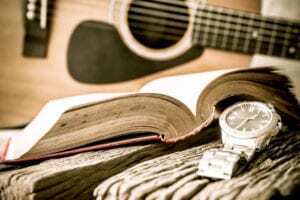 they don’t just have a general music degree), there are other things to look for to guarantee you’re getting the best guitar lessons possible. For example: you know you’re on the right track when you see that your guitar teacher has already helped many other students achieve big accomplishments in their playing. This means the teacher knows how to help you reach big musical goals. Additionally, it is important to make sure that the guitar teacher you want to work with has helped his students achieve the same things you want to achieve in YOUR guitar playing. You’re learning in the right place here. We’ve spent countless hours training to improve our guitar teaching skills while helping other guitarists reach the exact same goals you want to reach. We’ve put ourselves on a never-ending quest to improve and offer the best guitar lessons possible. We find this to be the best way to guarantee results for our students, and we take great pride in helping them become incredible players. Are you not getting the response you want from your friends and family when you play the guitar for them? Read more to find out how to improve on it next time. Are you not getting the response you want from your friends and family when you play the guitar for them? Read more to find out how to improve on it next time. We’ve all been in a situation, even from the very beginning of playing guitar. Where friends and family will ask us to play something. It can be daunting. Especially in the beginning to know what to do and what to play. We want to help you understand a few easy things you can do to make it simple for you next time this comes up. So that you can feel more confident about your guitar playing in the future. Who are you playing to? When you are playing to your friends or your family. Is it your 80-year-old grandmother listening to you who is into classical or jazz? Or your brother whose into rock music? It is important to consider what your audience thinks sounds “good”. Playing what they enjoy is an important part of impressing them. When you are in the beginning. Focus on improving your strumming. You want a variety of strumming patterns and techniques on the guitar. So even when you are playing open chords, you can add a style that speaks to your audience. When you play for someone else, you will most likely be more nervous than when you are playing on your own. When you are nervous, you will make more mistakes. The simpler you can keep the piece you are playing, the easier and more effortless you will seem. This makes you look more impressive! So stick with something simple that you are confident with when trying to impress others. As mentioned above, practising your strumming so you can play a variety of genres is useful. This will get your playing to sound more impressive and professional. The quality of your strumming will improve the sound of your playing. Check out my other strumming articles and videos to find out how to improve on those if you are unsure. When making a mistakes, don’t show it. Keep a poker face. Don’t’ flinch, don’t make a face. Keep carrying on playing the guitar. Most of the time, no one will know. Even if it seems obvious to you. You playing through the whole thing is a lot more impressive than stopping and starting. It will sound a lot more professional as well. Always practise the pieces that you want to play in front of other people. Try filming yourself as well to see if you are making any silly faces. Also when filming yourself, you will feel extra pressure like when you are performing. Now you can practise with the extra adrenaline. Finally, just go for it! The more you do it, the easier it gets! Put yourself out there. Ask your families if they would sit and listen to you play. So that when you play to your friends and want to impress them, you will be that much more confident. This is because you’ve had lots of practise and feel prepared about what you are going to play on the guitar for them. Strumming patterns are an essential part of rhythm guitar and are important in almost every piece of music. Your strumming hand is responsible for conveying the emotion of a song to your audience. We are going to take a look at how to improve your basic strumming patterns so they’ll sound clearer and more dynamic. Your playing will also sound more creative, plus it will add variation to your guitar playing. Watch our video with Darryl to see how you can improve your strumming, or read on for further explanation. You’ll want to get your strumming patterns to sound so good that when you play these chords that you have mastered, your guitar will sound awesome. Don’t let your strumming you bring down after all that work with chords and rhythm playing! Use that strumming hand to show your audience how tight and professional your playing is. The first issue I often come across when people strum the guitar is that they strum it like it’s an on/off switch. There are certain types of music and certain times when you may want to strum your guitar this way. Generally, to achieve a more melodic feel to your music, you need to be a little more delicate. 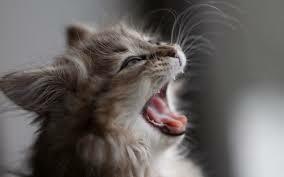 Let’s imagine that when you strum your guitar, you are stroking a cat. Strum the first few strings slowly and then speed up on the last few strings. 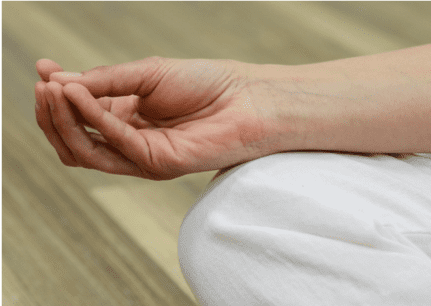 To practise this, try doing the up stroke, then down strokes separately, and then put them both together. Practise this until it feels comfortable. Afterwards, apply this technique to your strumming patterns. The other common mistake people make is forcing their pick through the strings really hard. When you strum, you want to feel your pick bouncing through the strings. Try to hear the difference between forcing your pick through the strings, compared to bouncing through the strings. They sound very different, don’t they? Keep in mind, there is a time and place for the on/off switch type of strumming and forcing your pick through the strings – punk music is a good example. However, to make your guitar sound more melodic, practise this technique to make the chords you’ve learned sing. The second thing you can do is split up the guitar strings when you strum. We are going to practise this by taking a really simple strumming pattern; we’ll focus on strumming different strings on different beats of the bar. Let’s try strumming on the first and third beat of the bar. We only strum the lowest string of the chord. But for beats 2 and 4, we’ll strum the higher three or four strings. You should hear a nice emphasis on beats 1 and 3 with the bass strings, with the higher strings on beats 2 and 4 creating the melody to make the chord sing during the rest of the bar. Try practising this for a while. Then, combine this technique with the first technique – the one we likened to stroking a cat – to give your chords more life and bounce. You’ll really impress people because good strumming makes even simple chords sound great! If you are struggling with getting your strumming to sound good, or you want to improve your guitar playing in general, get in contact with us. We are passionate about helping you achieve what you want on the guitar. We know what it’s like to feel frustrated and wonder why your guitar doesn’t sound good no matter how much you practise. Our professional instructions will help you to advance in the most fun and easy way! We are so confident that we can help that we even offer an introductory guitar lesson, so we can find a plan that works with you and your needs. Every guitarist no matter what any level of playing they are at can make mistakes in their guitar solos. Even at a professional level. 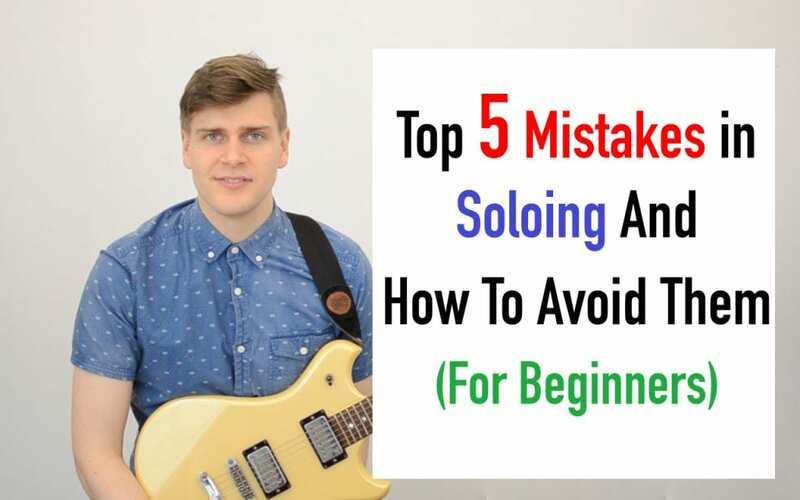 We are going to outline some of the common problems that beginners and intermediates struggle with when it comes to soloing and improvising on the guitar. We will discuss how we can avoid the top five mistakes to improve your guitar solos tremendously. A common mistake that people make when they improvise is always playing throughout the whole guitar solo. They don’t leave any space. Imagine someone was talking to you, and they spoke constantly, with no stops or pauses. It’s very tedious and tiring to listen to. This is what happens in your guitar solo if you don’t leave any stops and pauses between notes. You need breathing space in your guitar playing because they help to form phrases. Phrases are short musical sentences. When you start your playing and have pauses in between a few notes, they create sentences into your playing rather than having continuous speech. Even when you play fast, you can still have spaces and pauses to add tension and emotion in your playing. A lot of new players have gaps in between their notes when they play. These voids produce a guitar solo that does not flow fluidly from one note to the next. The notes end up sounding slightly staccato, which is a term for short, pointed sounding notes. There will be times when you want to accent these notes intentionally. However, doing this constantly throughout your playing won’t sound very pleasant. To avoid this, work on eliminating the gaps between your notes. Having smooth phrasing and playing will make your solos much more pleasing to the ear. You will also sound a lot more professional as well. When I hear people play bends incorrectly, it often sounds like a cat dying. This happens because they are not bending the string into another note in the scale. It is not enough to just bend it to create a good sound. You need to make sure the bend is in tune with the scale and key that you are playing in. I am not going to go into detail regarding scales and keys here. 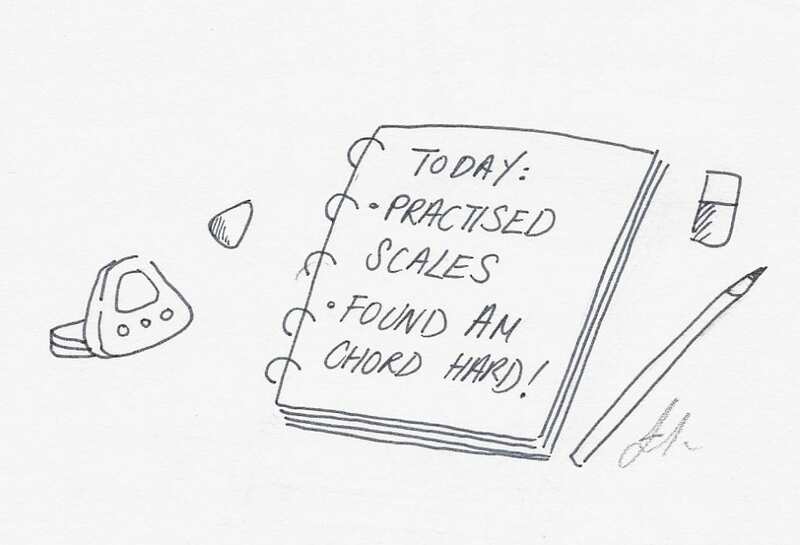 If you need more information about scales and keys, ask your guitar teacher about them. Alternatively, if you are in London, you can contact us to find out how we can help you improve your guitar playing and teach you more about music theory. How to practise your bends? We are going to take a look at how to get your bends to sound good. To do this, we are going to use a tuner. When you are practising, use the tuner to help you make sure that when you bend your string, it is in tune when it gets to the next note in the scale. While the tuner will help you stay in tune, the more practise you have, the better your ears will get at listening to when you are bending the note correctly. Practising your bends this way may seem hard the first few times. You will have to do this exercise three to four hundred times to see improvements in your bends. You also need to make sure that every time you do a bend, you make it to the next note. And when soloing, make sure it is in the scale and key of the piece you are playing. It doesn’t take very long to practise this a few hundred times, and you will soon find your solos sounding less amateurish and more professional once you have improved each of your bends. I find that with a lot of guitar players that when they solo, they will use the same rhythm all the time. Or they’ll use the same rhythmic value. 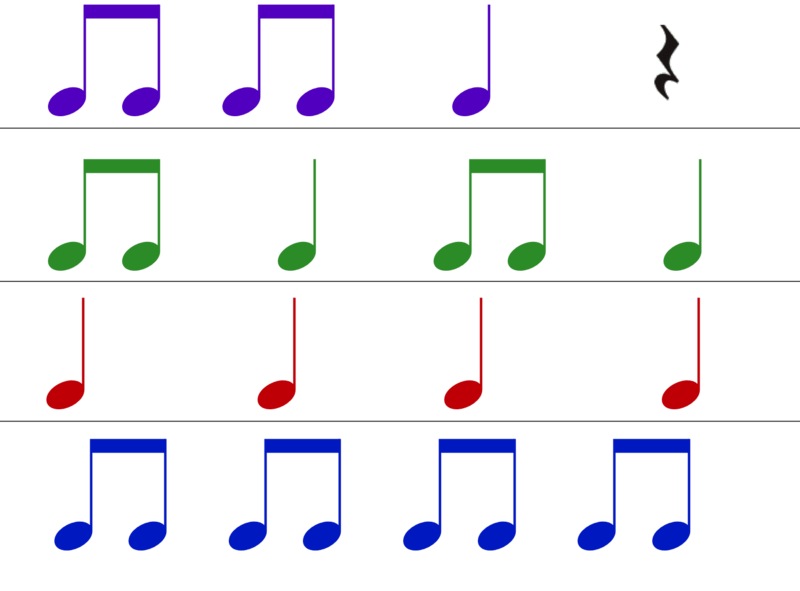 Rhythmic value is defined by how long a note is. To change this, all you have to do is vary the rhythmic value, and play with a variation of shorter and longer notes. When you alter the length of each of your notes when you are improvising will make your solos sound more captivating. You’ll be able to convey more of a story to your listeners and connect with them better. Variety in your improvisation will make your solos sound more impressive than before. Another common mistake that beginners make when they improvise or play a solo happens due to making all the phrases start from the same beat of each bar. When they begin their phrasing this way, it makes their solos sound more predictable, and therefore mediocre. 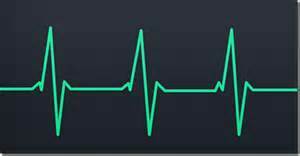 For example, if you are counting bars in a four-beat rhythm, a lot of players will pause and always begin a phrase on the 1st beat. The next time you improvise, try starting on a different beat – maybe the 2nd or 3rd – or even on the off beat. You can also play slightly before the bar starts as well. You will get much more interesting phrasing this way, and your solos will sound a lot more intricate and adventurous. All of these tips combined will make your guitar playing sound much more impressive. You will be able to impress more with your improvisation. 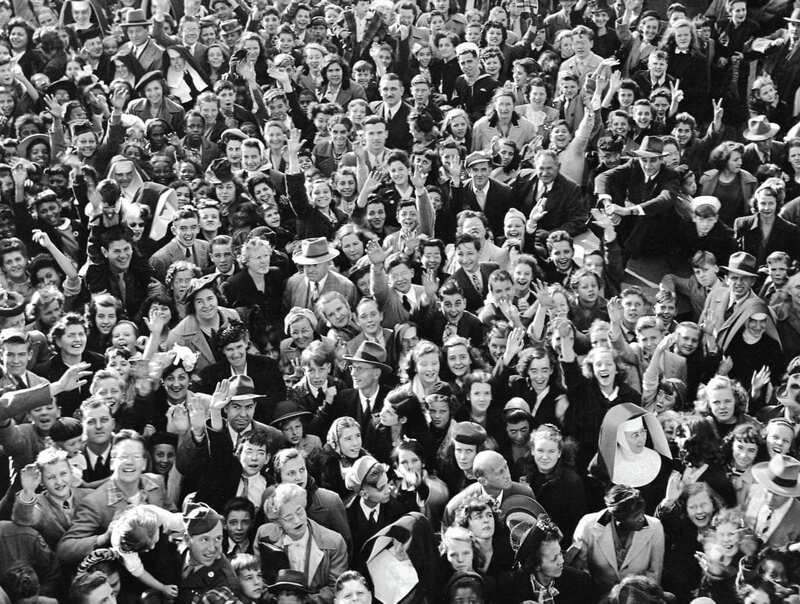 You will be able to connect with your audience on a deeper level. They will add a lot of variation to your solos no matter what style you are playing. You can be confident that you will sound more creative than ever before. We understand that soloing and improvising can seem difficult to master at first, especially without the right instruction and the right information, given in the correct order. If you are struggling with your guitar playing and would like to become an excellent guitar player – and want to learn in a fun and easy way – contact us to find out how we can help you. We are so confident that we can provide you with the path to becoming the guitar player that you want to be that we will offer a free introductory lesson. 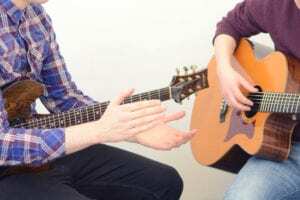 This guitar lesson gives us the opportunity to get to know each other, and you can find out how we’ll be able to solve your guitar playing problems. Click on the button below to find out more about the introductory guitar lesson in London that we offer. Click the button below to tell us about your guitar playing today! 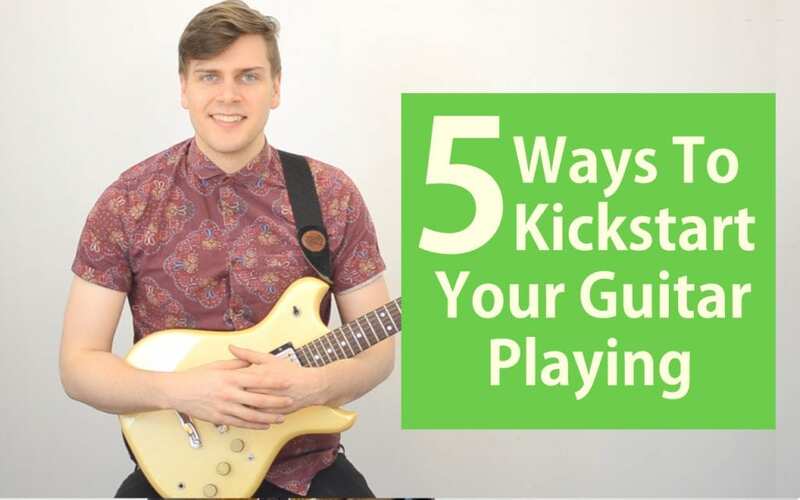 Today we are looking at 5 different ways to kick start your guitar playing. No matter where you are when you are watching this video – whether it’s January or the middle of July – if you want to give yourself a kick start, or if you are struggling with motivation because you haven’t played and practised guitar in awhile, then this article is for you. Are there any particular songs you want to play? Do you want to play in a band? Enjoy being able to jam with friends? Do you want to enjoy improvising on the guitar by yourself? Once you’ve written down what it is that you want to do, stick it up on the wall next to where you practise and play the guitar. There are so many things you could be working on while practising; this exercise helps you focus on the things that are most important for you to get to where you want to be. You don’t want to end up being an average guitar player – jack-of-all-trades, but master-of-none – not really being able to do exactly what you want. What I mean by this is, you want to minimise the time it takes for you to sit down and start practising guitar. If your guitar is in a case, get it out and put it on a stand. If you have music to practise with, put that on a stand, ready to read. Keep the area clean, and have a pin board – in which you can track your goals, theory charts and anything else you might need – somewhere close by. Make it easy and accessible for you to start playing and practising the guitar. If your place is a little chaotic, just start with having the guitar out and ready. Don’t make the easy excuse of “this sounds like a lot of work”. Take it one step at a time and aim to make your practise as accessible to you as possible. If you are already quite organised, how can you make your environment even better? Do you have a tuner and capo ready? If you need a footstool, is it already out in the perfect position? Any extra steps you’re forced to take before you can practise – such as getting the guitar out of the case, then hunting around the house for a tuner – these nuisances all add to the mental block that can discourage you from practising. Reducing this mental block will help you remain motivated to practise, and will save you a load of time too. Recall the goals that you previously wrote for the first point. If you know how to reach these yourself, then great! If you are struggling, then get someone to help you. That’s exactly what Guitar Tuition East London do; we find out what you want to do and help you achieve exactly that, and cut out the parts you don’t need to save you a bunch of time. Other external forces that can help motivate you include being in a band. It might not be the most efficient way to power-up your skills, but you will always benefit from playing in a group with other musicians who share your enthusiasm and can help keep you accountable. This all adds up to helping you play more guitar and going in the right direction. Having positive people in your life who are supportive of you and your playing will help eliminate any mental blocks weighing you down or slowing your progress. If, when you begin your practise, you find yourself playing the same old stuff again and again, don’t worry. This is a really common situation that a lot of guitarists share. It is also a really big problem. You really aren’t getting better at your guitar if you merely repeat the same songs or exercises over and over again. You need to make sure you are working on things that are challenging you. This will mean making mistakes, and that is a good thing. You want to keep pushing yourself. You can’t push yourself by just playing the same things over and over again; you’ll never be able to progress far with your guitar. Proper practice involves taking on new challenges. Now we aren’t saying that you shouldn’t enjoy playing the guitar. You should. Playing guitar is all about having fun. Just make sure you allow yourself dedicated practise time before you let loose and play. By doing this, you resist the temptation to cut your practice short and miss out on any measurable results. If you practise more than you play, you are guaranteed to see much bigger improvements in your guitar playing. Keep a journal of the little victories that you have. Make a record of what was tough about the things you practised today, and write down the moments that made you feel good. Finish up with any revelations that you may have. A lot of people waste time because they don’t remember where they left off after their last practise, and then have to practise the same things over before having the same revelations. Keeping a journal will help you remember the progress you’ve made, and help you stay motivated. It can also save you time when it comes to practising the guitar as well. If you are struggling to motivate yourself and think you need someone to keep you accountable – or you don’t know how to get your guitar playing to sound the way you want it to – then get in touch with us. We are here to help you develop your playing so that you can do the things you really want to on the guitar. Whether you are a hobbyist or a seasoned pro, we will have you progressing in the fastest, easiest direction while having loads of fun along the way. 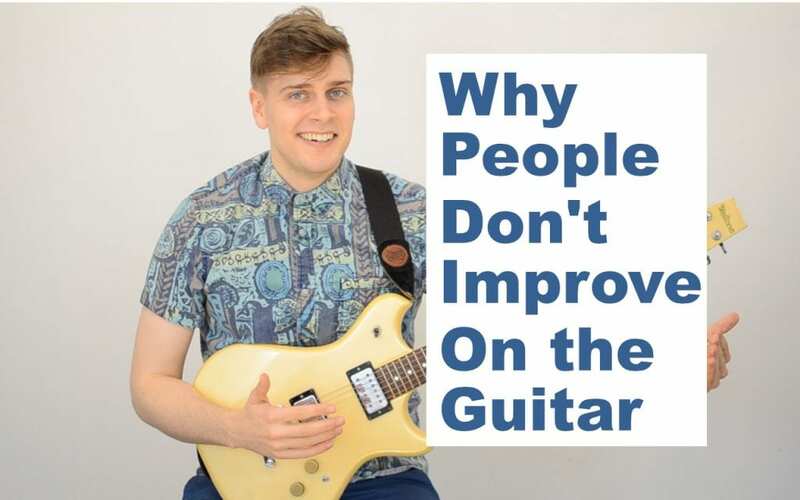 We are going to discuss some of the reasons why people do not improve at the guitar, some of the most common reasons that I have seen from students who have come to me for help or people that I have met. Watch out and see if these apply to you so that you can avoid them in the future. The biggest reason I see why people are not improving is that they are not persistent enough. You have to keep going, and when you hit a barrier, you have to be persistent enough to get past it. You need to find a way around it and to solve it, which means getting the right information and finding a professional to help you. Unless you do not like the guitar, there is no reason to stop. Just keep at it. If you love the guitar, you need to be persistent and going on even when it is tough. People keep playing the same old stuff—they practise the same thing all the time, especially people who have been playing for a while. When people “practise”, they will play the same old thing that they are used to. This idea might mean different things to different people; some play the same songs, some people do the same exercises. Some people might play and jam with themselves to backing tracks. Doing the same thing is just playing and not challenging yourself. We have found many people who, when they learn the guitar, only learn individual songs. When you only learn songs, you do learn some things because you are learning the songs themselves. However, what is more important is how those songs are put together, the fundamental aspects of them, the skills that link all those songs together. You are not really studying those aspects. Rather, you are just copying and not creating. It is like when you are writing a speech; instead of learning how to write your own speech and understand how the language and structure are put together to make a great speech, you just copy someone else’s great speech. That strategy does not make you a great guitar player, and definitely not quickly. There are some benefits to learning songs, but there are many more things that you need to learn. It might be that at one point, you were really pushing yourself and learning. However, people sometimes get too happy with where they are and get out of the cycle of learning. It is great to have milestones and reach goals, but you also need to set new ones and get excited about reaching those. When you get too content, years can go by, and you do not get any better, which is because you are happy with where you are at, and you do not see a reason to apply yourself anymore. People do not know how to improve and do not have the right information for their situation. I see many people just finding exercises online or from books. However, these exercises are not specific for the players and for where they are at, which is similar to learning some songs. Because these resources are not whole plans or strategies, they do not help the players very much. You would be surprised the amount of professional guitar players who have a teacher and a coach to train them and teach them guitar. However, you would probably not be surprised by the number of beginner guitar players who believe they do not need a teacher. This belief is a big fallacy. There are also people who think they are too good or do not think anyone can help them. With that attitude, you will struggle for a teacher who can help you. You want to find someone who does know how to help you, and someone who can help you put it all together. The reality is that you do not know what you do not know. Many people are so unaware of what else is out there and the amazing things that will help them progress so much faster. 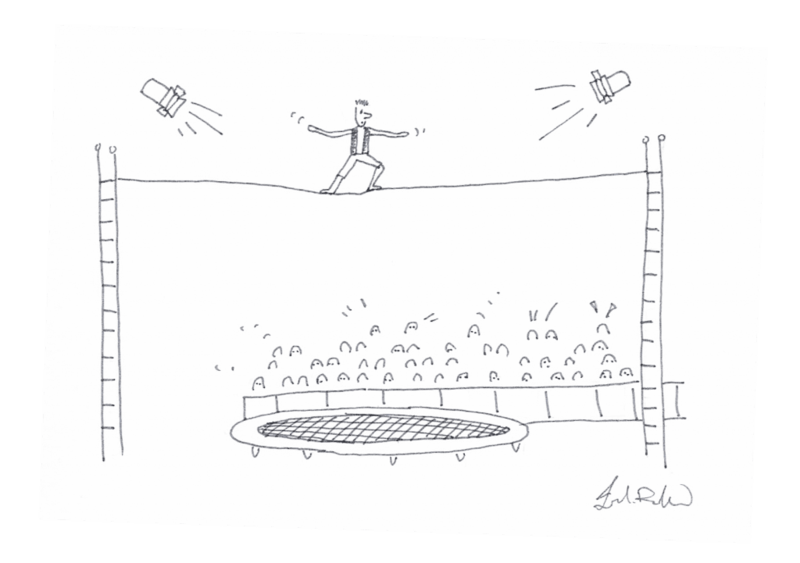 Not wanting to seek out professional is holding many people back. 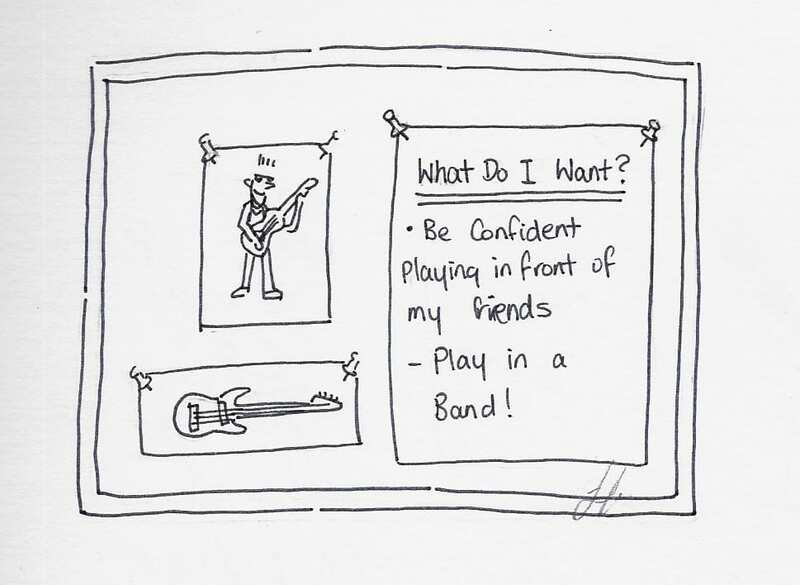 People often lack the belief that they can become the guitar player they want to be. This mindset is common. Many people believe that talent is an innate thing, and that is why they cannot play. There are no babies who come out the womb playing the guitar. Zero. It is all learnt; it is all skill. However, there are different ways those skills put together from different aspects of life experiences. It is important that you understand the need to believe that you can do it. Only then can you work out how. You need to believe you can first, and the how comes afterwards. Some people hold themselves back because they are scared how much work it will be to learn how to play. However, if you really love the guitar, no amount of work is too much to do something you truly love. If it is important enough that you want to play the guitar for the rest of your life, then you are going to continue to gain skills, work on them, and develop your playing over time. If it is one of those things where you just want to try it for a couple of weeks, then I would not bother; it is not worth it. However, if you want to give it some more time and keep going even when it gets tough, and you absolutely love music, then do it. Playing the guitar is so much fun. It will bring you a tonne of joy and happiness. Are You Struggling to Improve Your Guitar Playing? Are you struggling to improve on the guitar? Do you want some additional guidance to help you make massive progress in your guitar playing right now? Do you need someone to keep you accountable and help you stay persistent? Are you passionate about the guitar and music? If this sounds like you, and you are based in East London, then contact us regarding how we can help you. We are so confident in ourselves that we provide a free assessment lesson. Click the button below, which will take you through to our contact form to schedule your assessment lesson with us where we can discuss how we can take your guitar playing to the next level.